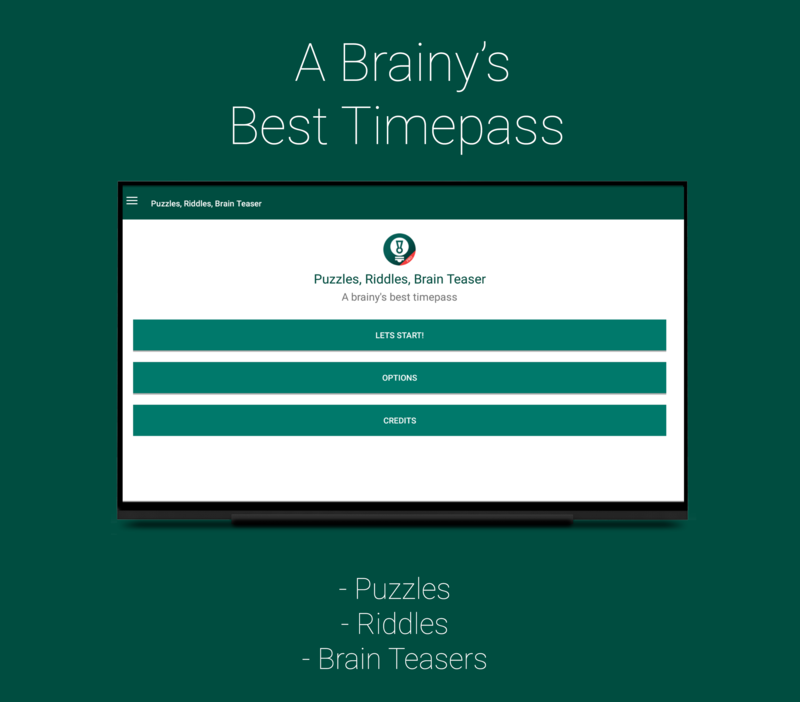 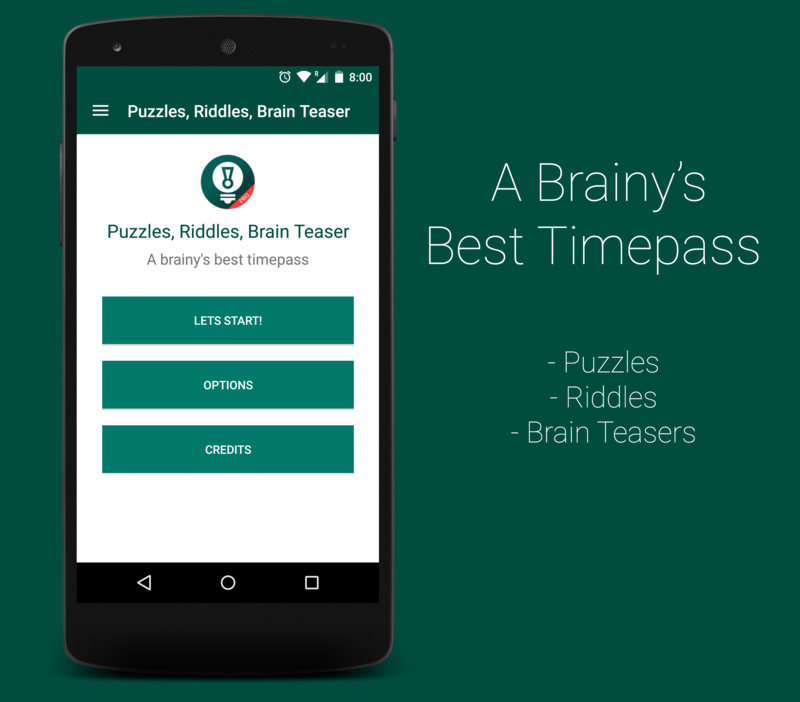 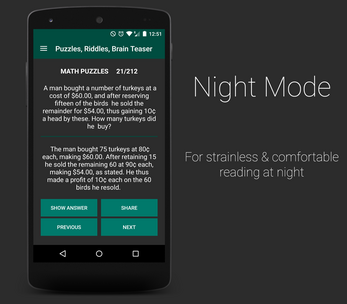 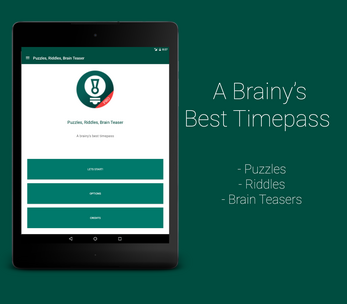 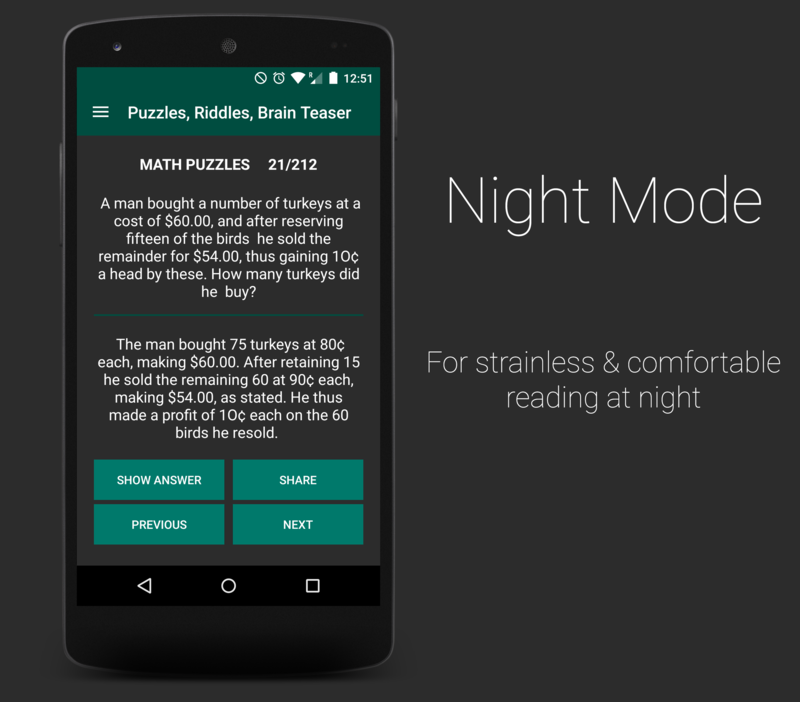 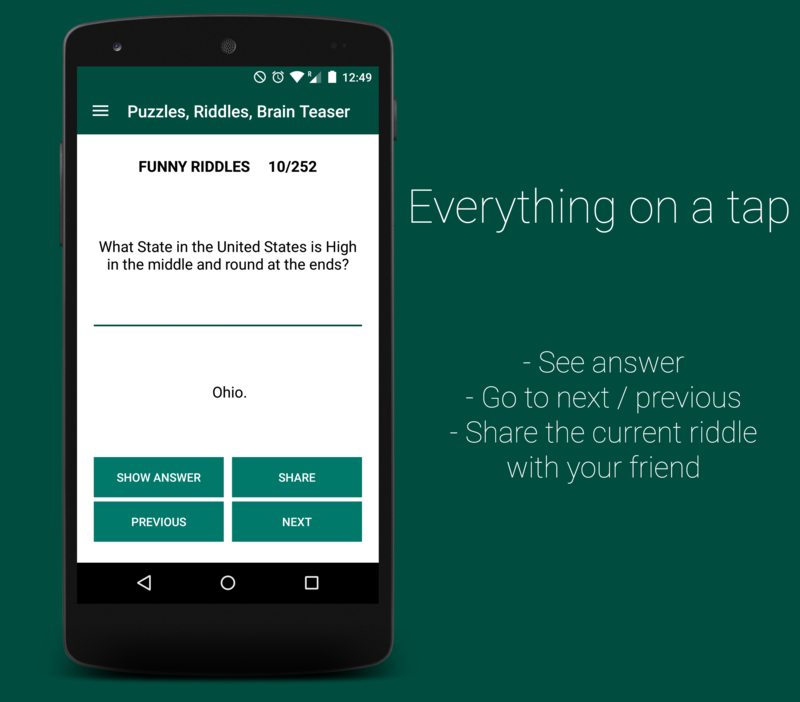 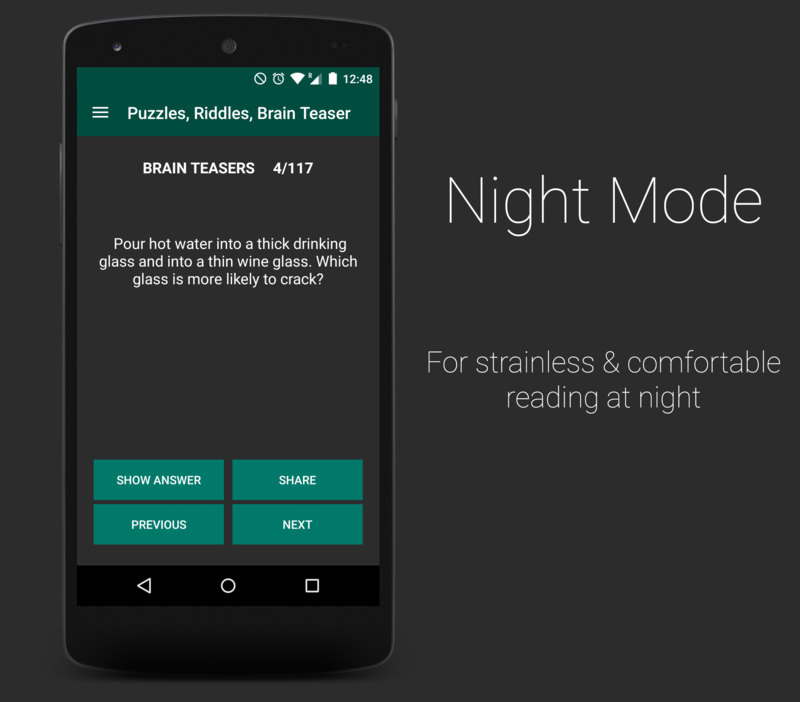 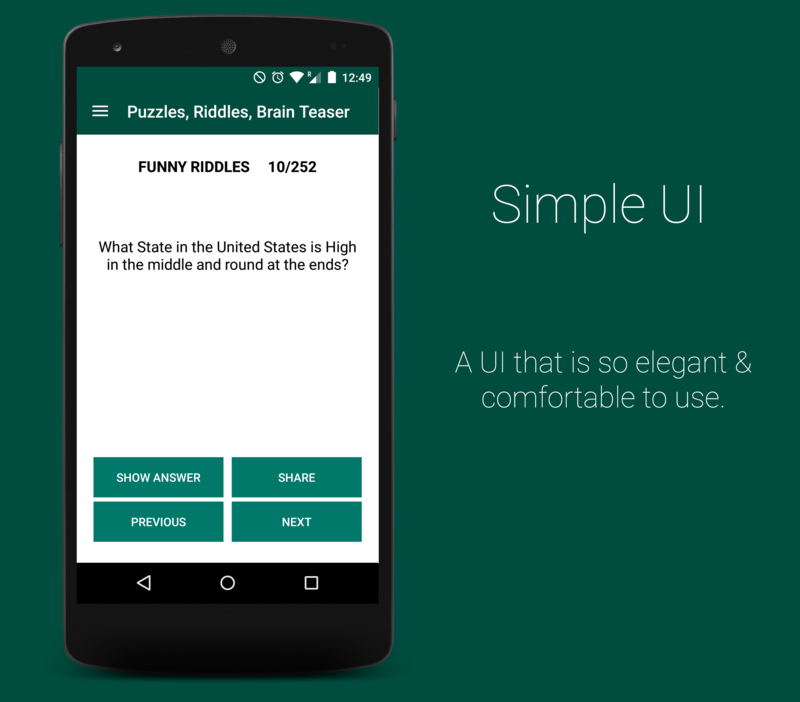 With puzzles, riddles and brain teasers all in one place, this game is one's best time-pass. 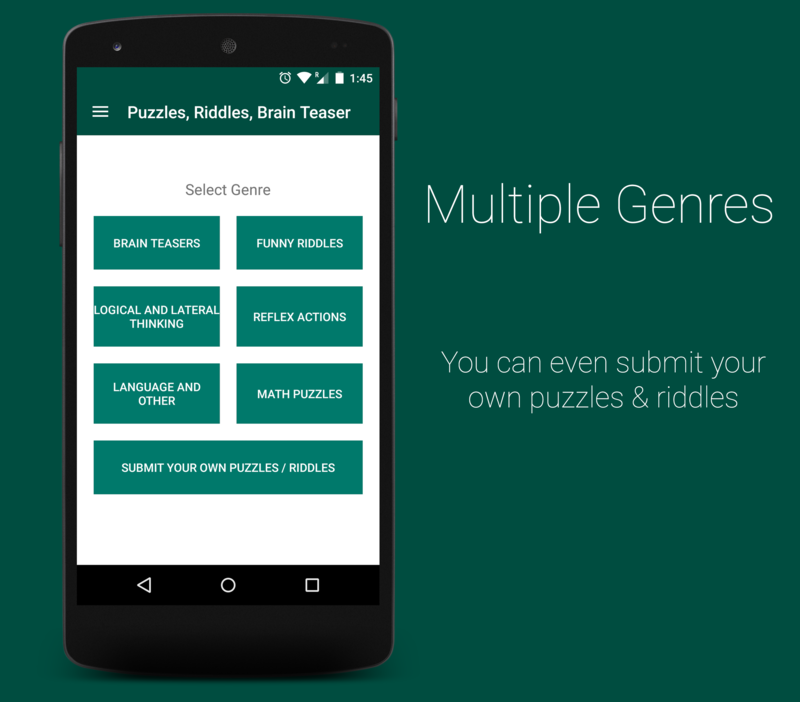 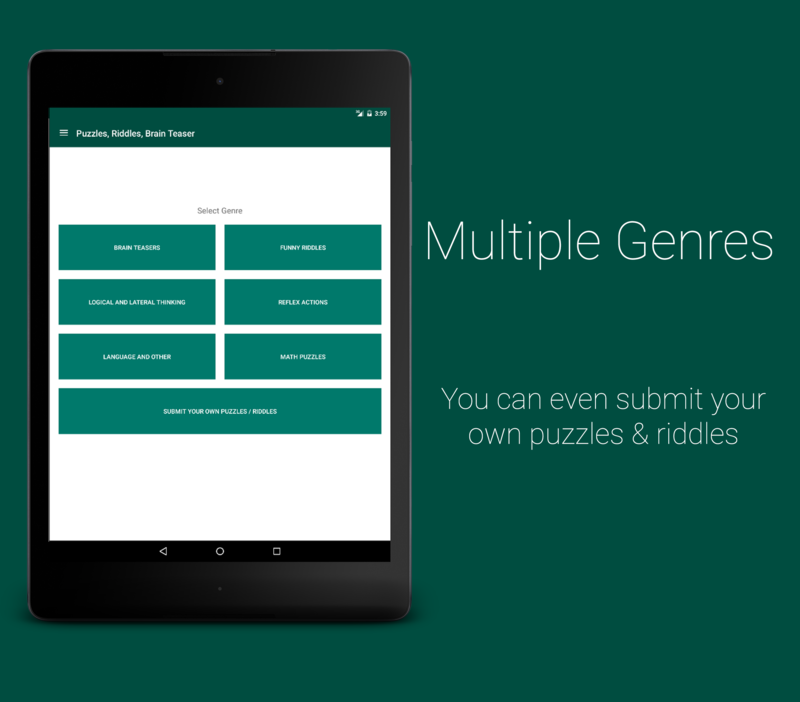 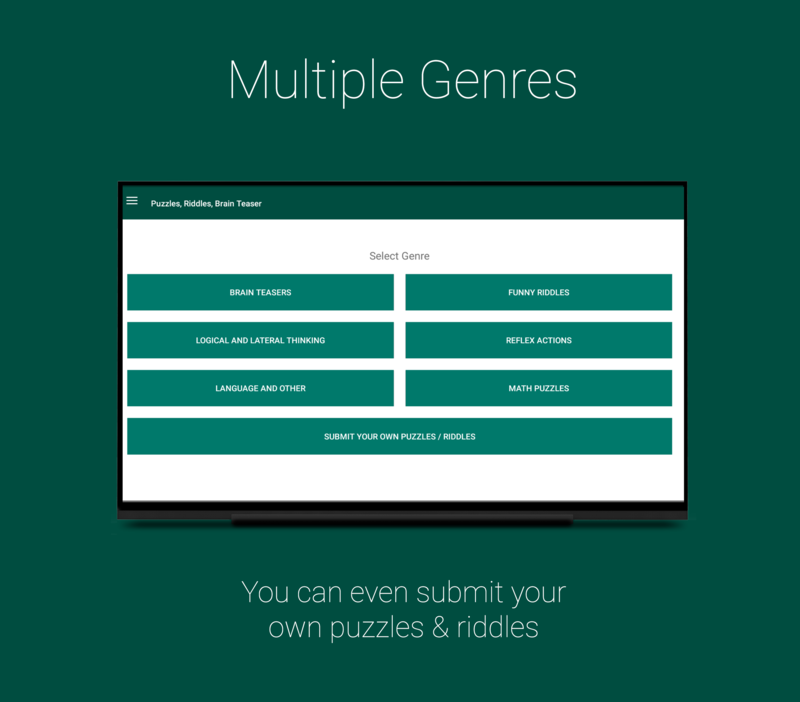 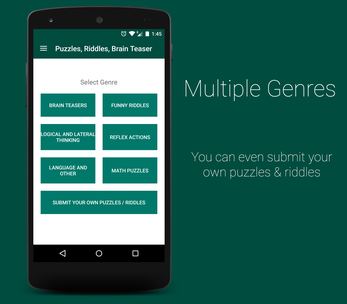 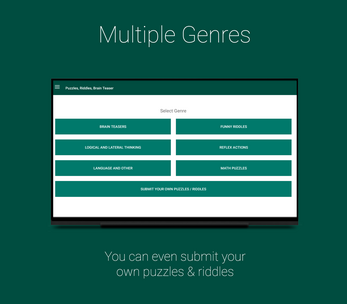 It has over 500 riddles & puzzles in over 6 genres, all at one place! 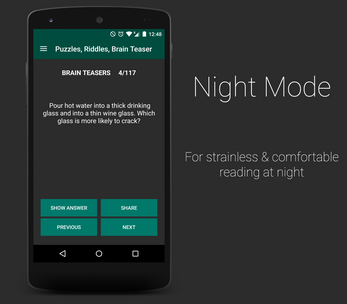 give your brain some work. 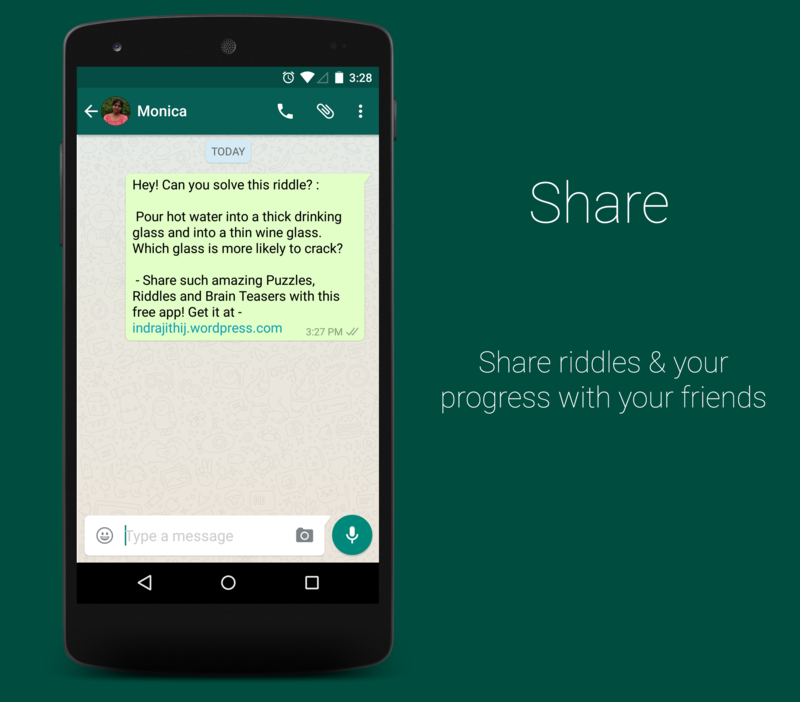 Give it some riddles & puzzles to solve. 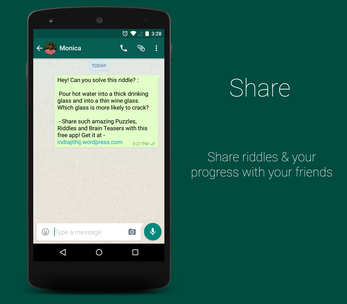 Share a riddle or your progress with your friend. 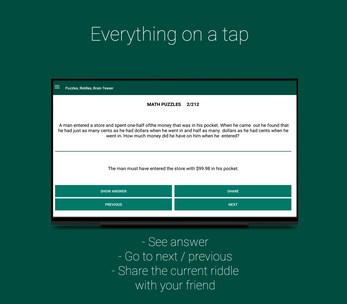 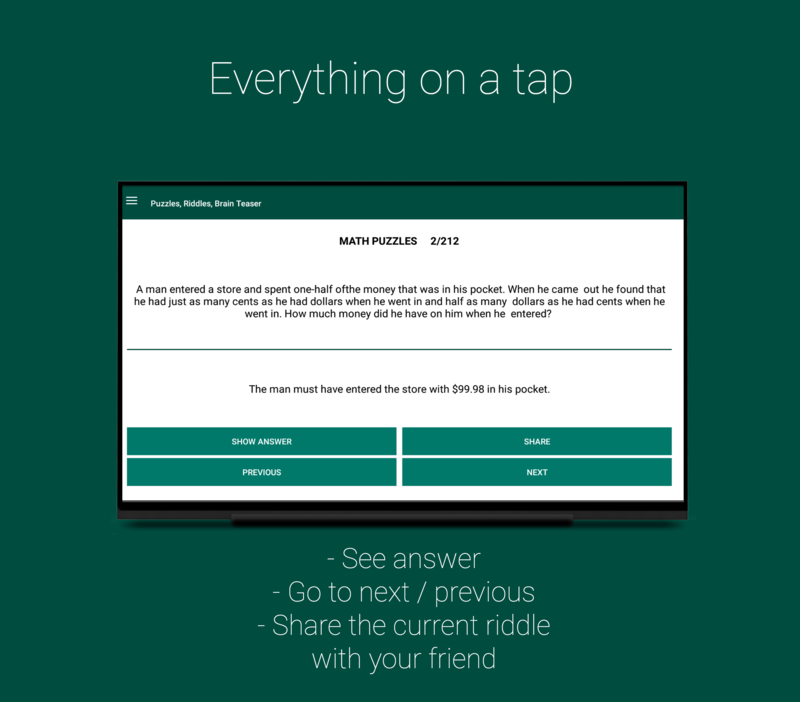 You can even challenge your friend to answer a particular question or an entire genre.! 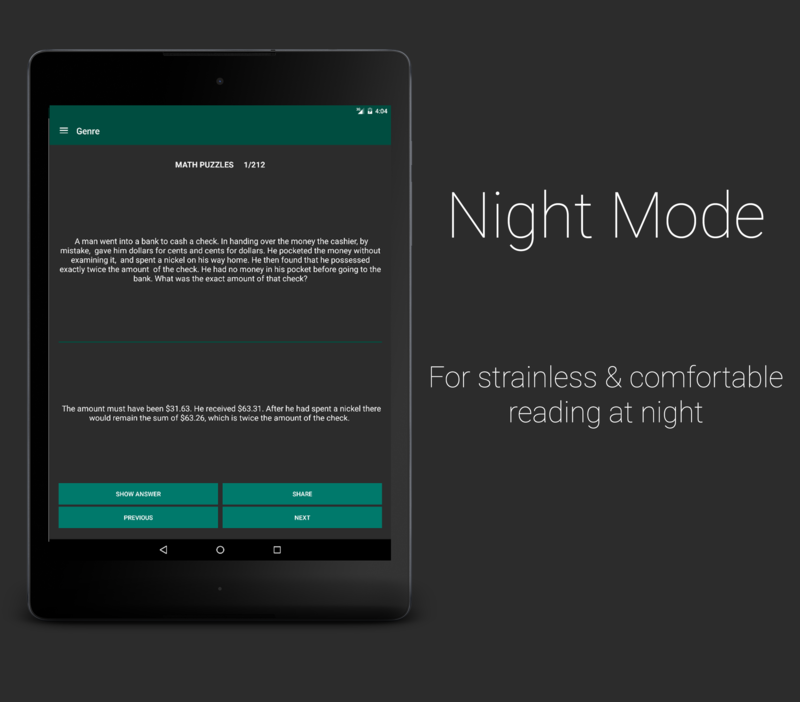 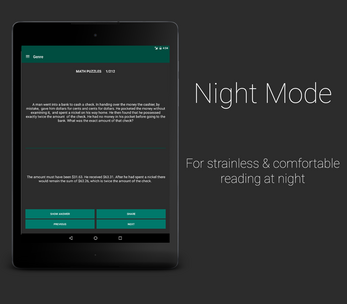 Besides, the flexibility of the app's layout using the Material Design paves way for it to flow across various screen sizes in a more fluid manner. 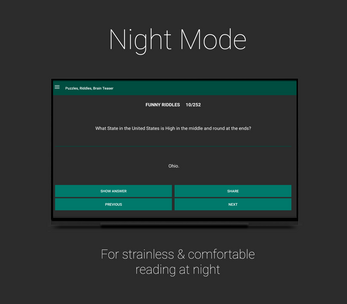 Enjoy the game in your phone, tablet and even on your TV! Go on, hit the install button now!